Following a suggestion from Free Penny Press, I have put together this history page. There won’t be a lot of posts on here, the ones that are, will include some history about whatever the topic is. There will be an excerpt from the original post and a link back to it at the end for anyone who hasn’t read it before and wants to read the full entry. Next to the title I’ve added a description of the type/period of history. 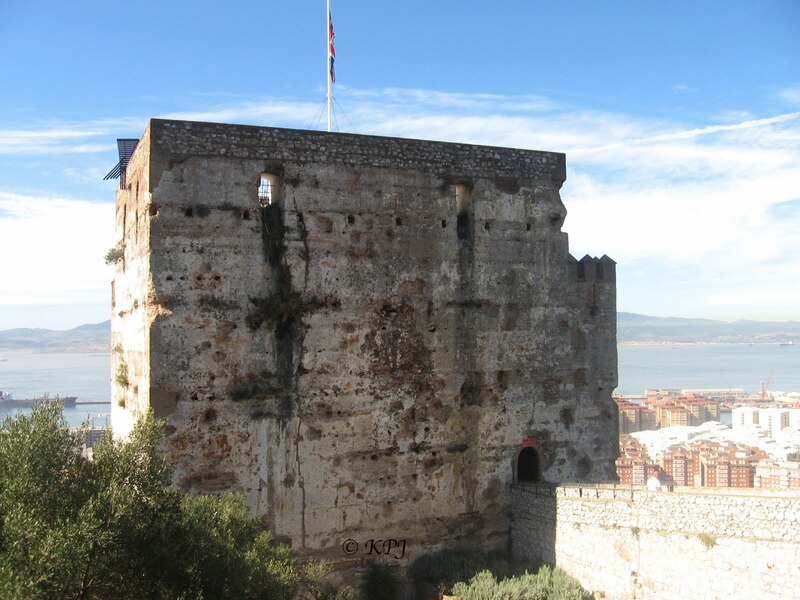 The current header photo shows the interior of the twelfth century Moorish Castle, link below. Neanderthal remains and a skull were discovered in Gibraltar in 1848, before the discovery in Germany that gave the name to the species. Sadly no-one in Gibraltar was aware of the significance of the skull at the time, or we would be talking about Gibraltar man rather than neanderthal man. Story here – link is to my every pic blog. It has to be said we didn’t exactly do our best by our colonial friends in Australia and New Zealand at Gallipoli. Nor incidentally, did we do ourselves any favours. Depending on which sources you read, the British had 21,000 casualties, the French 10,000, somewhere between 8,000 and 9,000 from Australia, nearly 3,000 from NZ, 1,300 from British India, and 49 from Newfoundland. The Ottoman Empire suffered nearly 87,000 deaths. Those figures don’t include wounded soldiers or the ones who became sick because of the appalling sanitary conditions. The intention of the Gallipoli campaign was to capture the Gallipoli Peninsula and then crack on to take Constantinople and push the Ottoman Empire out of the First World War, as they were German Allies. It failed. On 25 April, 1915, the Australian and New Zealand Army Corps (ANZAC) landed at Gallipoli. It was the first major military action fought by Australian and NZ forces in the First World War. From 1916 the two countries have commemorated those who died, on Anzac Day, and as with many other countries whose memorial days started off with the First World War, it has now become a day to remember all those who have died in wars. The English poet Rupert Brooke died shortly before the invasion of Gallipoli. He was serving with the Royal Naval Division and a septic mosquito bite led to his death from blood poisoning. 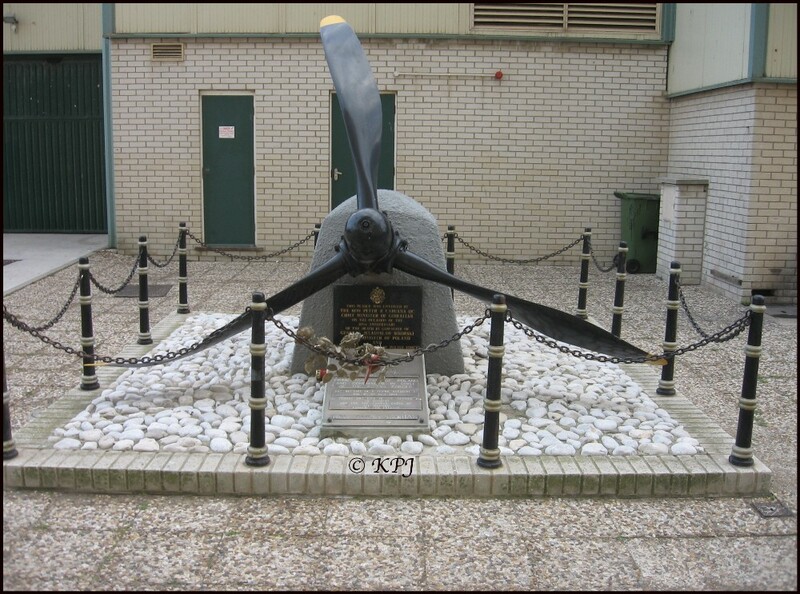 This is a memorial to Prime Minister Wladslaw Sikorski, who led the Polish Government in Exile from 1939 to 1943 – when he was killed in a plane crash off Gibraltar. Who, you ask? as did I. A bit of background first. He was born in 1881 in what was then Austria-Hungary, because Poland had been annexed even before Germany invaded Poland in 1939. Sikorski was a distinguished soldier in the Polish military in the early 20th century and was supporting Polish independence. However on the invasion of Poland in 1939 by Germany, he escaped to Paris, where he joined two other rebels who were leaders of the Polish Government in Exile. In spite of Sikorski’s influence with the Allied Powers, the emergence of Russia (who, like Germany, naturally wanted to grab as much of Poland as possible) as a major player, left the UK and the USA in a difficult position. Got to keep the Russian Bear sweet. It seemed Sikorski, although flexible about borders, did want to retain some of his country in a post-war territorial re-allocation. Nor was he happy about the Katyn massacre that the Allies chose to diplomatically ignore. (Anywhere from 5,000 to 20,000 plus Polish people murdered by Russians). And then luckily for the Allies, Sikorski was conveniently killed in an aeroplane crash. His plane went down 16 seconds after taking off from Gibraltar airport. His pilot, who normally didn’t wear a life jacket, managed to struggle with taking off and not gain height and at the same time put on his Mae West. All in 16 seconds. The pilot was the only one to survive the crash. Out of the ten people killed, five bodies were never found. Suspicions that Sikorski had been assassinated continued to surface throughout the war and afterward, reaching their height in 1968 with the London staging of a play, ‘Soldiers’, by the German writer Rolf Hochhuth. The play contained the sensational allegation that none other than Winston Churchill had been in on the plot. None of the allegations of conspiracy have ever been proved. On the other hand, by 2000, only a small portion of British intelligence documents relating to Sikorski’s death had been declassified. The reason why these documents continue to be classified and why British intelligence refuses to disclose the information and what it has to hide has not been answered. With the few documents currently available, most historians agree that it cannot be determined whether Sikorski died in a real accident or was in fact assassinated, or by whom. Speculations range from conspiracies involving the Germans, Soviets, Western Allies, and even the Polish political opponents, and various combinations of these factions. 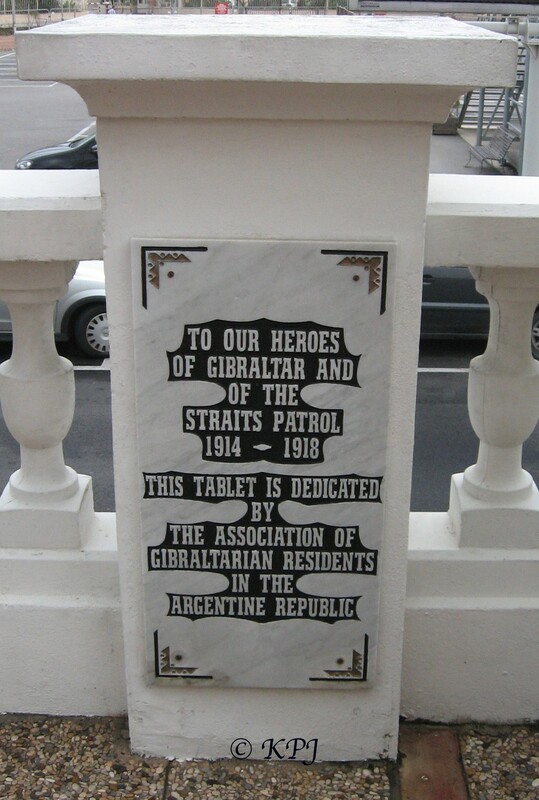 Gibraltar is full of fortifications, walls, gates, and former military buildings. A couple of minutes walk from me are Southport Gates/Referendum Gates. There are three separate gates here. They are at the far (south) end of Main Street, just before the Trafalgar Cemetery. 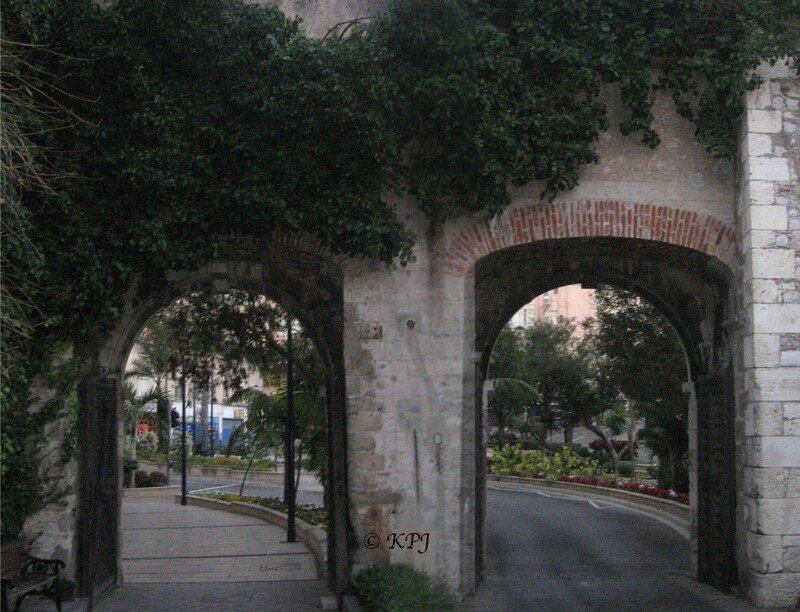 The first gate dates back to the sixteenth century (1552), when Charles V of Spain started construction of a wall from the Upper Rock right down to Main Street to improve the city’s defences. Originally this gate had a drawbridge. The Great War aka WW1 resulted in around ten mill military deaths and seven mill civilian ones. Now, remember how WW1 started? Yes, that’s right, it was the whole Austrian-Hungarian empire thing. So not surprisingly, there were nearly three mill deaths in the Ottoman Empire, nearly two and a half from Germany, and just over one and a half for Austria-Hungary. Plus a couple of hundred thousand in Bulgaria. In percentage terms, the Ottoman Empire wins the prize with nearly 14%, the other three come in between three and four per cent of the population. Cos that’s important. You need to decide whether you are looking at total numbers of people killed or the percentage of the population killed – big difference. And – those figures are for total deaths, because even back in 1914-1918 we had collateral damage (aka killing civilians), and disease and famine. For military deaths alone – Germany wins outright, (if not the war) with more than two million killed. Moving swiftly on a few years to WW2, which records somewhere between 50 and 70 million people killed. Just wow! We all learn our history from our own perspective. So naturally I learned about how Britain suffered in WW2. Um. Not really when you look at the figures. Not even half a million deaths and less than one per cent of the population. Nowhere near WW1. In terms of military, the only ones in the millions were Russia, Germany, China, and Japan (in that order). But, and here we have a big but – let’s look at other WW2 deaths. Holocaust deaths. Approximately six mill Jewish people killed, plus Roma (gypsies), people with handicaps, prisoners of war – millions of Russians, millions of Polish people, homosexuals, Serbians, and erm, Roman Catholic clergy, Jehovah’s and Freemasons. The list is never ending!! I haven’t even mentioned the Japanese war crimes. In fact, the so-called Great War, to end all wars, came nowhere near the atrocities committed in the second world war. The total number of Americans killed in action from all major wars combined, the ten listed below, is 2,757,196, which, while a disheartening number, is about the same as the number of Vietnamese that died in the Vietnam War alone. The current castle site is the result of centuries of rebuilding, extensions and remodelling from the 12th century when the first city was founded and a castle or fortification was built on the hill facing towards Spain. 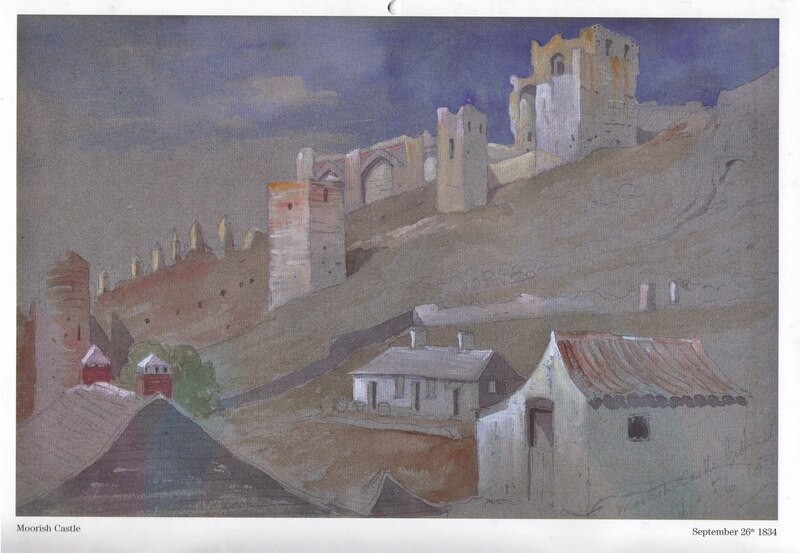 At the top right of the photo is the Tower of Homage which is open to visit, so below are some photos when we went as a comparison with the watercolour. I picked up a free local paper in Spain as you do, and noticed that this month there were marches of homage in La Axarquía to victims of the Spanish Civil War who died on the road from Málaga to Almeria. On February 6th over 100,000 people were forced to make a mass exodus along the coastal road to Almeria. The road was blocked by slow vehicles and wounded people. Fascist air attacks and navy bombardment took their toll on the civilians. Many dropped along the way. Terrified villagers along the way did their best to defend the little food and water that they had but the numbers of the refugees and their need were too great. It took two long weeks for the “Caravan of the Dead” (as the event became known) to reach Almeria. At my local library, I found another two Civil War books. Ernest Hemingway’s classic, moving, and sad novel ‘For Whom The Bell Tolls’. And Laurie Lee’s three-volumed autobiography, Red Sky at Sunrise. The third and final volume ‘A Moment of War’ describes his time when he volunteered in the Spanish Civil War (for the Republicans). Suddenly we stopped. Our guide turned round to us, and told us that we needed to imagine what the area was like nearly 3000 years ago – without the oil refineries, the electricity station, and all the rest of the modern development. In the 7th century BC, the Phoenicians settled on the nearby Cerro del Prado. Some three centuries later, their descendants established a new settlement at Carteia, on the promontory next to the river Guadarranque with total strategic control across the Straits of Gibraltar. I cheered up by wandering in to see the 100 ton gun at Napier of Magdala Battery. I’ve been past the gun battery a few times as it’s en route to Rosia Bay. Entrance fee is £1, which is pretty reasonable – there is some interesting history stuff about the gun, and then you get to poke around it outside. Plus the views are spectacular. 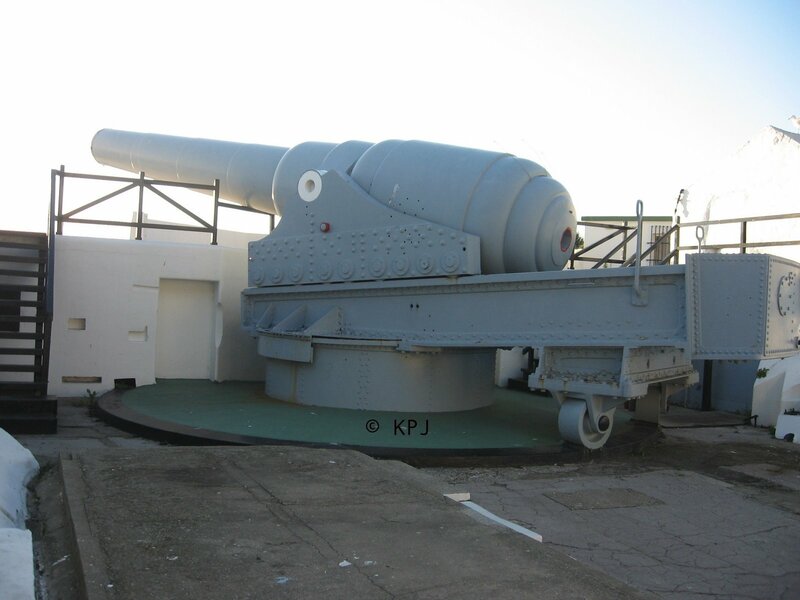 Apparently it was meant to fire up to eight miles, in a wide sweep from San Roque, La Linea, Algeciras right out to sea, but the blurb says it was unlikely that it would have been accurate, with a max more likely of five miles at the most. It was made by Armstrong in Newcastle (UK), put together between 1878 and 1884, and cost £35,717. Thanks. I don’t want to put too much on here, but I guess pages make it easier for people to get an idea of what the posts are like whereas just clicking on categories is too vague. I want to keep it varied too, so that there are different periods and different types of history. Probably a bit of self-indulgence too, it’s great to be able to do some research to add more info to the post. If people don’t want to read, they can skip the text and look at the pix! To my taste, not much top-class fiction came out of the Spanish Civil War – sorry to sound predatory, as if that’s what a good war should produce for those of us who didn’t have to suffer it. I know that everyone is very keen on For Whom the Bell Tolls, and it is a great title certainly, but I couldn’t get through it, it reads like a bad translation from the Spanish with all that Spanish syntax and no contractions and so forth. But then, I don’t like Hemingway generally: the short stories are his best work, I think. Haven’t read Malraux’s L’espoir (Man’s Hope, as it’s titled in English to “rhyme” with Man’s Fate, the translation of La condition humaine: so what’s wrong with Hope?). To tell the truth, I haven’t made a career of reading novels about the Spanish Civil War – or any other. I suppose the best I’ve found is Herrumbrosas lanzas (“Rusty Lances”) by Juan Benet, runs to about 800 pages in the original edition in three volumes (Alfaguara). Someone will translate it one day perhaps. I’ll check out the others, thanks for that. There’s no accounting for taste – so we’re told – but we all think our own is impeccable. Nothing to be done. No free advertising on here. I edited your comment for that. No problem, I expected as much. The message was for you. No, nothing to be sorry about, I understand. Can’t have people invading your blog with advertising. 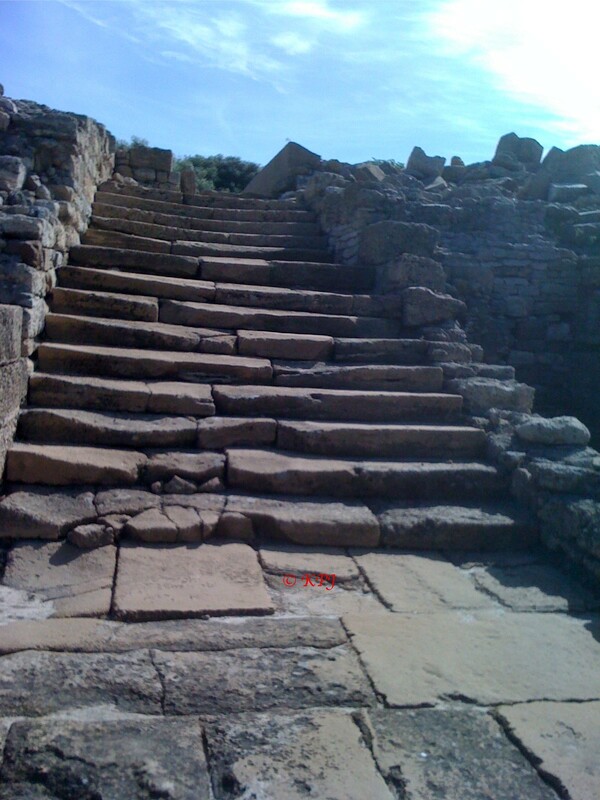 So…the following is not to be made public, it’s just for you, you can delete the whole message: http://www.lulu.com/spotlight/pluramon is where you’ll find Traces of the Atlantic Civilization and 15 other books I have self-published. To read a sample, click on the title, then on the word Preview below the enlarged cover image that will then appear. Maybe none of it will interest you at all, no way to tell. I won’t bother you about this again, I promise. A turkish friend told me his grandfather remembered people being rounded up to join the armies even before the First World War…they would have basic training, march off to the Tigris and Euphrates and none ever returned. :( Bad story. Too many of those abound. But which armies? Gib and Spain have golden history; something fantastic represented in Urdu language Novels that we read here in Pakistan. Your blog is made with serious hard work really. I like creative approach. I have a creative blog; but it is in a different style with creative Downloads so that one may view them off line. Thanks for your comment mushtaq. Indeed the Islamic heritage in this part of the Iberian peninsula is impressive. The terracing on the hillsides for agriculture is still visible in many places, and the architecture is simply stunning. The Mezquita in Cordoba is one of my favourite buildings. Here in Gib we have the castle (as above) and remains of the baths in the basement of the national museum. And in terms of present day architecture we have mosques at Europa Point and a city central one too. I like the fact we are so multi-cultural here. That’s an interesting idea for a blog. I’ll have a longer browse around later. Thank you for reply. I hope you will have a longer browse later, these are video presentations of travel and tour for download with audio video effects. Sorry to be critical yet again, but I must admit I find it pretty insensitive and disingenuous that you are trying to quantify evidence of suffering in wars simply by looking at the statistics. If you’d ever lost somebody you loved in such a way or had been maimed in a war then you might understand that the gravity of that loss does not depend on how ‘well’ or not the side that you happened to find yourself on did. Let’s face it; both you and I are (so far) lucky enough to be of a generation and living in a country that cannot even comprehend the meaning of war. That said, I find the comparison of statistics that you supply with regard to war deaths is interesting though and thanks for posting. Whilst on this topic, many people are surprised to learn that the war in which most American lives were lost did not take place in the 20th century but in the 19th. The American Civil War ended with around 750, 000 lives lost – and over half of these were not in combat but because of disease and accidents. The demand from Americans for weapons to slay each other with inevitably sped up the regular rate of industrialisation so you can imagine this subsequently had the side effect of the sort of horrific industrial accidents associated with Victorian Britain but significantly accelerated and multiplied. This certainly had an effect on the USA’s reluctance to enter the first world war as the memory of what their civil war was like was still fairly fresh within the living memory of many Americans. The most destructive war in terms of reduction of population was the War of the Triple Alliance 1864-1870 in which tiny Paraguay lost at least 60 per cent of its population when it fought the combined forces of Argentina, Brazil and Uruguay. The majority of the deaths during war were of the civilian population – primarily women and children.